Why are we setting diversity goals based on the 1980 census? While sometimes it seems like our political system is broken, the corruption that mires Capitol Hill is nothing compared to the disrepair and erosion that plagues the roads and railways of the communities that Congress is supposed to be representing. The White House recently enacted a stop-gap funding measure for short-term infrastructure spending. Now, as pressure mounts on Congress to pass a full-scale infrastructure bill, activists see a turning point, too. The Transportation Equity Network is demanding that the potential infrastructure jobs in the pipeline are not only good jobs but also targeted toward the communities that most need them. 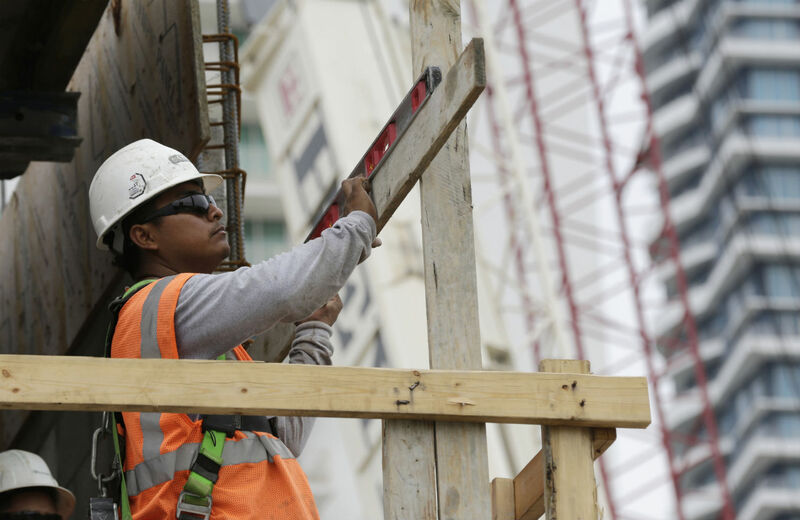 Historically, the government’s response to structural discrimination and inequality in the labor force has been the affirmative action mandates of Executive Order 11246, a longstanding regulation that sets target rates for minority and female participation in federally sponsored construction projects. The target percentages were set using 1980 census data, leaving them woefully out of date. TEN is simply asking that the minority participation guidelines be updated to reflect the country’s current demographic reality and serve the overarching goal of making publicly supported job opportunities equitable toward disadvantaged groups. TEN’s analysis of current census data shows that in some areas, the balance between whites and people of color have shifted so dramatically, the old rates look like affirmative action in reverse. In the St. Louis metro area, the minority workforce participation rate has jumped from 14.7 percent to 20.7 percent. The rate in Springfield, Illinois has more than tripled, from 4.5 to 13.6 percent. In California’s Sonoma County region, minority participation has soared from 9 percent to 32 percent. But it’s not just the numbers that are off. In addition to the lack of coherent, up-to-date affirmative action guidance, activists want stronger enforcement measures, so that contractors experience real consequences if they fail to comply. Activists say the regulations are essentially toothless because the enforcement process, run by the Office of Federal Contract Compliance Programs, relies on individual complaints, not comprehensive monitoring of contractors. The administration has signaled that it’s seeking more accountability for contractors. TEN’s Federal Policy Coordinator Cynthia Jarrold pointed to an executive order issued earlier this year that tightens the vetting process for prospective contractors by requiring them to first disclose labor violations they have committed over the previous three years. This could set the stage for expanding transparency about contractors’ compliance with affirmative action guidelines. Now the question is whether those guidelines will actually be meaningful. Jarrold tells The Nation, “We’ve got to make sure that when these regulations are updated that there’s a real consequence for failing to comply. Right now it’s hit or miss.” Someone can initiate a complaint, “but the Office of Federal Contract Compliance Programs is just not in [the] position of assessing what’s happening with every single one of these contracts.” To tackle “the failure of the ‘good faith’ effort” that’s presumed in the current regulations, TEN wants to see real penalties, like withholding payments or disbarring a contractor altogether if they do not respect the affirmative action rules. This also requires expanding data collection to monitor contractors consistently. Meanwhile, every day funding streams get held up is another day a struggling construction worker is idled and her community is starved of both infrastructure resources and job opportunities. Congress remains hopelessly gridlocked over how to rehabilitate the country’s infrastructure, but the answer is straightforward: give workers and grassroots organizations the power to chart their local construction plans, with clear federal guideposts and enough funds to make it work—and let the communities take the lead.